This week was a big one for Pokémon fans. Not only did a brand new Detective Pikachu trailer give us a Bonnie-Tyler-powered look at the movie’s wild take on the Pokéverse, Nintendo officially revealed the next main games in the beloved franchise, Pokémon Sword and Pokémon Shield. But what if there was some crossover between the two? 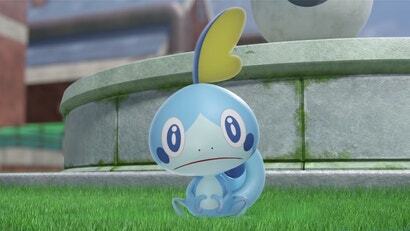 The announcement of Sword and Shield for the Nintendo Switch also brought with it the very first look at the three “Starter” Pokémon players will choose from to begin their new journey in Pokémon’s eighth generation of monster-battling video gaming: Scorbunny the fire rabbit, Grookey the grass monkey, and then Sobble, a water chameleon who has already become the internet’s small, anxious best friend. But what if Sobble wasn’t showing up in Sword and Shield, but as part of Detective Pikachu? The creature was likely revealed far too late to get an inclusion in the movie at this point, but RJ Palmer—an artist for video game developer Ubisoft who went viral a few years ago for a series of art re-imagining realistic takes on Pokémon, and even got a job working on Detective Pikachu’s re-imaginings of fan favourite critters because of it—gave us an idea of what it could possibly look like. The answer is, like a lot of Detective Pikachu’s Pokémon, a heady mix of “kind of petrifying” and “absolutely adorable.” Maybe we’ll have to wait for Detective Pikachu: Detective Pika-two to see Sobble and its new friends done up like this, but for now this is about as close as we’re going to get to seeing what it could look like. 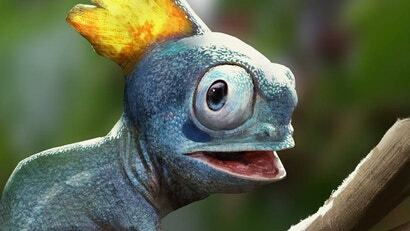 You can see more of Palmer’s art, including more realistic Pokémon, over on his website.